For its first year in office, the Trump administration seemed soft on Russia’s hyper-aggressive hackers, reluctant even to point out they’d brazenly meddled in the US election. Then, just two months ago, the White House suddenly came out swinging, calling out Russia for its massively disruptive NotPetya malware and intrusions into the US power grid, and imposing new sanctions in response. Now, in its latest warning to Russia over its hacking bonanza, the White House may have confused the message again, this time in the other direction: By scolding Russia not for its uniquely destructive hacking activities, but by all appearances for the kind of cyberespionage many governments do—including the US. 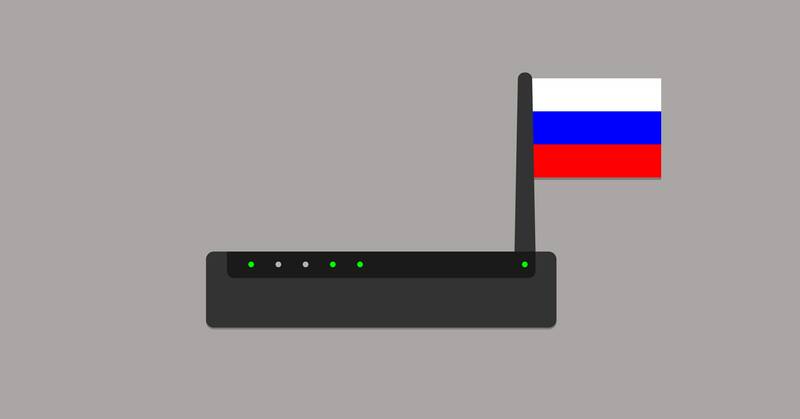 An alert issued jointly by the Department of Homeland Security, the White House, the FBI and the UK’s National Cyber Security Center on Monday warned that hackers tied to the Russian government have attempted to compromise millions of routers and firewalls across the internet, from enterprise-focused network equipment to the humble routers in homes and small businesses across the world. The report warns that the attacks “enable espionage and intellectual property [theft] that supports the Russian Federation’s national security and economic goals,” and offers technical advice about how to detect and stop those attacks. “When we see malicious cyberactivity, whether Kremlin or other nation state actors, we are going to push back,” said White House cybersecurity coordinator Rob Joyce in a call with reporters. (The call came just hours before reports surfaced that Joyce is resigning his White House position.) “We condemn this latest activity in the strongest possible terms,” added senior DHS official Jeanette Manfra. But those weighty statements, for some in the intelligence and security community, actually muddy the message to Russia. After all, US government hackers—and particularly those in NSA—perform broad intrusions across the world for espionage, too. Often they even hack routers like the ones mentioned in Monday’s alert, based on classified leaks and cybersecurity researchers’ findings. And calling out Russia for the same sort of spying the US routinely does as well only blurs the red lines that Western governments have demanded Russia and other nations respect—prohibitions like disruptive attacks on civilian infrastructure or meddling in elections. Just last month, for instance, researchers at Russian security firm Kaspersky revealed a hacking campaign known as Slingshot that spied on more than a hundred targets around the world, in many cases by infecting MicroTik routers. That operation was later revealed to be a US Special Operations Command effort to monitor members of ISIS using internet cafes across Africa and Middle East. “So, that Slingshot APT was Russian?” quipped Kaspersky researcher Aleks Gostev in a tweet responding to Monday’s DHS alert. Previous classified leaks have shown that the NSA and CIA hack routers too, both big and small. Rather than a serious warning of a new line-crossing cyberattack by the Russian government, Williams says he sees the latest alert as part of a larger geopolitical message. After all, the Trump administration’s relations with the Kremlin have been cooling, due in part to opposing interests in the ongoing war in Syria. “I don’t see why we’re making such a big deal of this, other than politics,” Williams says. In fairness, Monday’s DHS alert does hint that Russia’s router hacking could be part of a similarly disruptive hacking campaign rather than espionage alone; it warns that the router attacks “potentially lay a foundation for future offensive operations.” That could mean anything from data-destroying malware to disruption of physical infrastructure like oil and gas facilities or power grids. Exactly why the US and UK government chose to put out a joint statement about them now—along with some heated rhetoric—isn’t so clear. “Have they seen something that looks more like planning for disruption and sabotage?” asks Johns Hopkins’ Rid. “Is it enough that Russia has a track record of breaking things?” Until Western countries spell out the definition of that bad behavior consistently, the rules they want to set for civilized behavior online will remain frustratingly inscrutable.